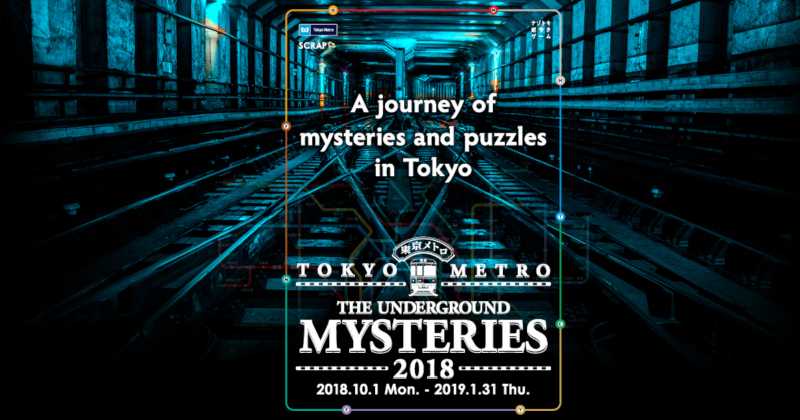 The Tokyo Underground Mysteries is a popular real-life puzzle game that takes place annually from October 1 to January 31 of the next year. It combines the mechanics of a scavenger hunt, a brain teaser, and a thinking puzzle, all of which you have to solve within 24 hours. The game requires a game kit which you can purchase on select Tokyo Metro stations, and it comes with a guidebook, tracing paper, a pencil, a file pack, an envelope, puzzle papers, and a 24-hour train ticket.